Washington County Consolidated Communications Agency’s emergency response records are Public Records. Law Enforcement Data System (LEDS) information, Protected Health Information (PHI), and/or non-published phone data may be restricted. All processed requests that are redacted of restricted information will be noted as such. Please see the list below for examples. 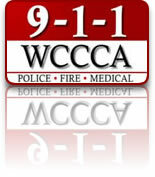 Requests for records may include the following data: Audio recordings of 9-1-1 emergency and non-emergency phone calls to and from WCCCA, radio traffic of recorded channels for police and fire dispatch, mobile data terminal (MDT) messages, Computer Aided Dispatch (CAD) printouts of incidents, and premise history printouts for house and street addresses. This list of examples is not a finite list and information may change without notification. This information is intended to assist in answering your questions and should not be considered a binding document. Private Attorneys: Restricted information includes PHI*, LEDS search results and non-published data. All other information is releasable. Public Defense Attorneys: Restricted information includes PHI*, LEDS search results and non-published data. All other information is releasable. Citizens: Restricted information includes PHI*, LEDS search results and non-published data. All other information is releasable. *Protected Health Information (PHI) is restricted for all citizen requests without proper authorization. A request that contains PHI may require government issued photo identification, a signed release waiver, or a HIPAA Compliant Subpoena.